With increasing emphasis on shared services in public buildings D-Tech has introduced a new function to their serveIT™ kiosks. 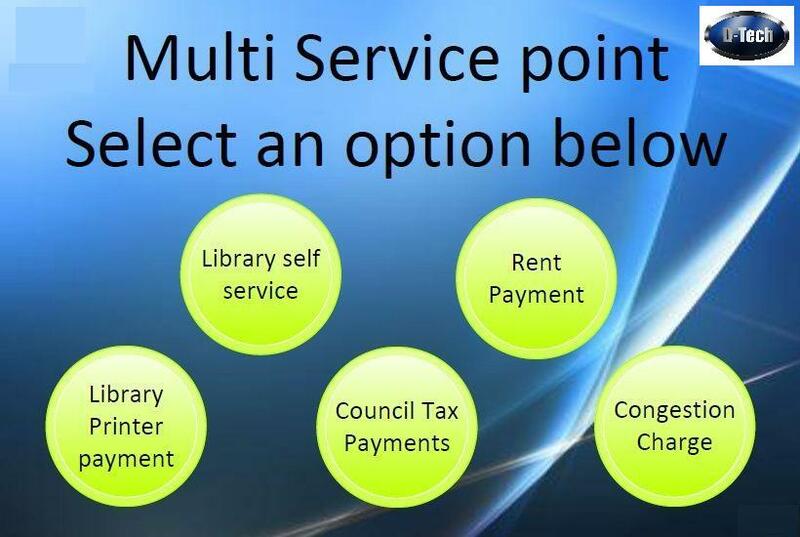 TheLink™ allows users to access and make payments across Council, or other, web-based services making life easy and convenient for library visitors and bringing the library closer to a one stop shop for community services. TheLink™ Its simple, On the front screen of our SelfCheck kiosks is TheLink™ button. 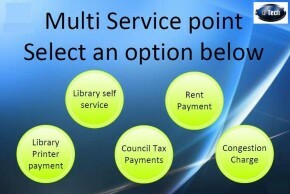 when pressed this takes the user to TheLink™ options, which will have been pre-arranged by D-Tech with the library, the Local Authority or other selected service providers. 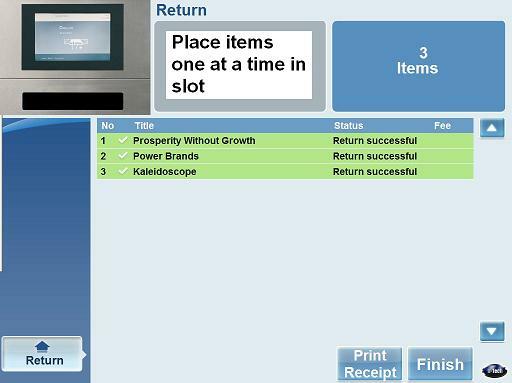 The user then selects the service they wish to use and can also make their payments via the serveIT™ kiosk. Most D-Tech serveIT™ kiosks have a payment function through coins, notes or chip and pin and the same payment system can be used. Change can also be given. TheLink™ application can be retro-added to existing D-Tech serveIT™ kiosk installations or is available as an option on new orders. The Link is also good for people with limited mobility and those who might not be able to get to Council offices or other pay points. What could your library Link with? 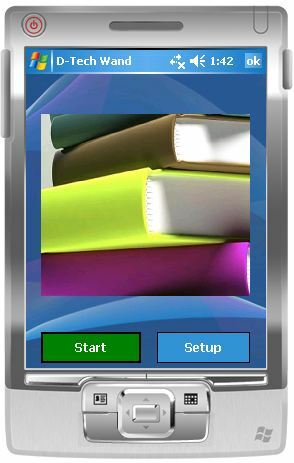 PC booking and printing software. With TheLink™ the possibilities are endless. 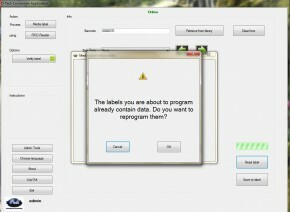 Working with our team of software developers we have developed our V4 Software application. All our software products have been rigorously tested and are now used in over 210 libraries in the UK and in Europe. We have also developed a bespoke software for our Enterprise thermal imaging people counter. Developing our own software systems here in the UK means that we can keep costs down, performance up and gives us the flexibility to bespoke applications for different client needs and also to quickly and easily adapt to changes in data standards and current regulations. 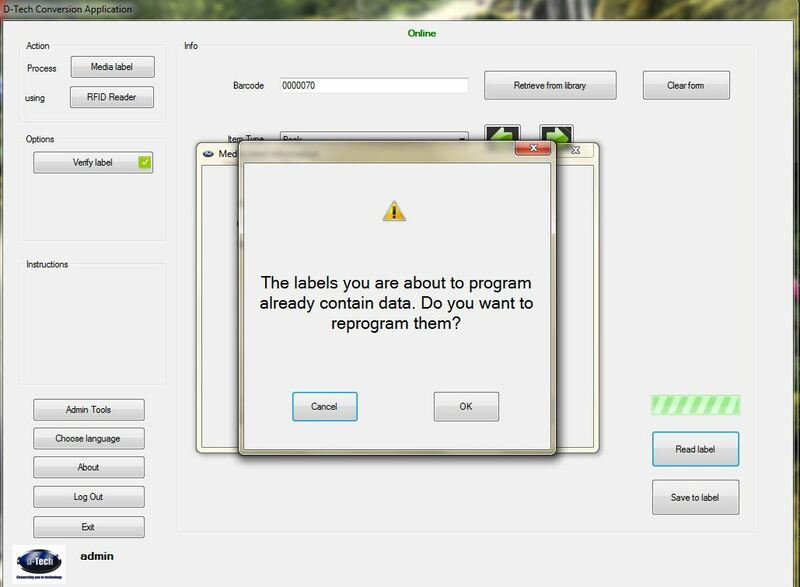 Our software is also fully compatible with many other supplier labels which means that we can not only offer support to non D-Tech sites but also install our self service in sites which have previously been supported by other suppliers. Switching is easy and hassle free without any disruption to service and our research has shown that we are considerably more cost effective than competitor companies. SIP2 and NCIP complaint or use without LMS.